We have a ready stock of a wide variety Boiler Tube Plugs Also Known As Boiler Repair Plugs to cater your huge requirement.solitaire overseas is known for providing high-quality Boiler Tube plugs and for its quick and timely delivery. We export and supply Boiler Tapered Plugs all over the world. We have been a leading and the most trusted company providing high-quality Boiler Tapered Tube Plugs, Tube Plugs For Boilers, Coolers, condensers, etc for decades. Solitaire Overseas Is One Of The Oldest Firm Supplying And Exporting Boiler Repair Plugs. We Manufacture And Stock Steam Boiler Tube Plugs, Toggle Type Boiler Repair Plugs, Threaded Boiler Repair Plugs, Ez Boiler Repair Plugs, Etc. Boiler Repair Plugs Are Used To Repair Boiler Tubes Or Fix Any Leakages In Boiler Tubes & Heat Exchanger Tubes. We Supply & Export Boiler Repair Plugs In Different Grades And Sizes Like Stainless Steel, Carbon Steel , Brass, Aluminium, Etc. In Sizes. We Have A Ready Stock Of 3/8″ Boiler Repair Plugs, 1/4″ Boiler Repair Plugs, 5/16″ Boiler Repair Plug, Pop-A-Plug Boiler Tube Plugs, Etc. Which Can Be Supplied To Any Part Of The World. We Offer Boiler Tube Plugs of different sizes and materials For Tubes Having Od Of 1/4″ Up to 4”. We Can Even Offer Customised Sizes As Per Client’s Requirement. 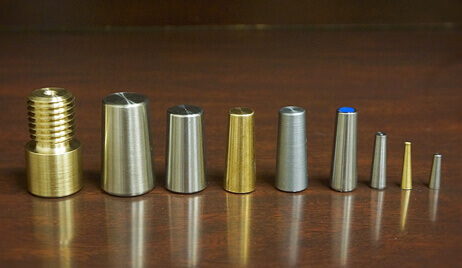 Tapered Tube Plugs used in Boilers, Heat Exchangers, Condensers, Etc. Can Be Provided At Customised Sizes. Why Choose Solitaire Overseas For Boiler Tube Plugs? Metal Tapered Tube Plugs For Boilers, Heat Exchangers, Condensers, Etc. Can Be Provided At Customised Sizes. Looking For Exporters & Suppliers Of Boiler Tapered Tube Plugs? Come Right To Us! Want To Buy Boiler Tube Plugs?